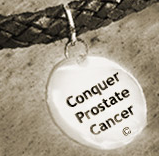 If this becomes Medicare practice for prostate cancer, Medicare may use the same standard of care and cost to eliminate new developments in every medical sphere acccording to cancernetwork.com. In my view the prospect that Medicare might fully cover only cheaper treatment alternatives rather than new options that prove to be no more effective is a perilous decision. This is particularly so for a bureaucracy like Medicare, which relies on a handful of medical experts who are likely to have a subjective, narrow perspective. After all, when it comes to the best treatment, effectiveness, like beauty, is in the eye of the beholder. For instance while da Vinci robotic surgery does not have a better cure rate than open surgery, it is minimally invasive. This allows for less scarring and less pain as well as a quicker recovery (averaging 1 day less in the hospital). Robotic surgery versus open surgery also enables the vast majority of patients to recoup their energy within a couple of weeks, rather than an average of six weeks after an operation. This in turn affects patients going back sooner to work routines in a more productive manner, which has economic consequences. So...while robotic surgery was once a new treatment option, if it or a newer modality were judged to be no more effective than other current treatments primarily in terms of cure rate, so many significant additional benefits would be denied in the name of effectiveness. Determining effectiveness most likely would be wrongly based solely on limited though important criteria like equal cure rates or, for that matter, equally onerous side effects such as ED and incontinence rates. Comparisons of different types of surgery as well as different forms of radiotherapy to determine which is more effective and cheaper is pointless. Such an approach does not take into account other significant enhancements of new treatment developments. I urge you to contact your congressmen to bring this point home. Decisions about which treatment is most effective for patients must remain between them and their doctors. For further reading see, "New Proposal to Curb Medicare Spending Uses Prostate Cancer as Model," by Ron Piana, October 22, 2010. This can be viewed at www.cancernetwork.com/news/display/article/10165/1701568.